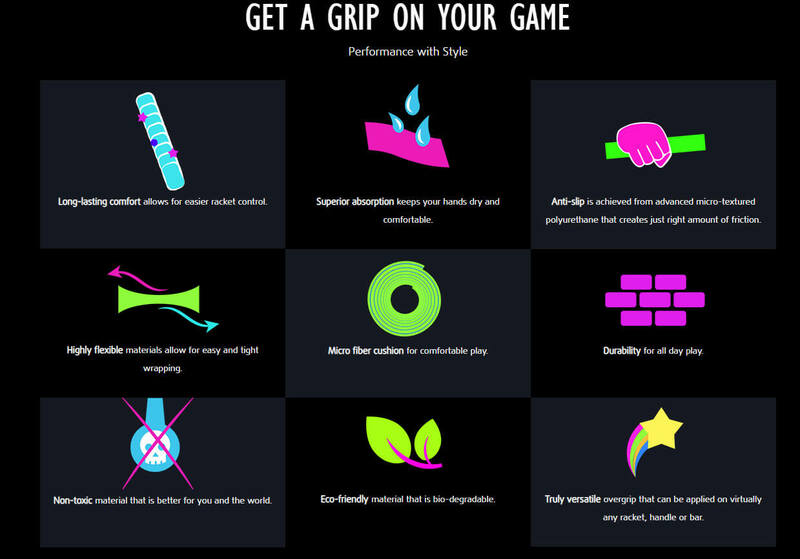 Alien Pros C-Tac overgrips are made of flexible, absorbent material with just right amount of friction that makes a slightly tacky grip. 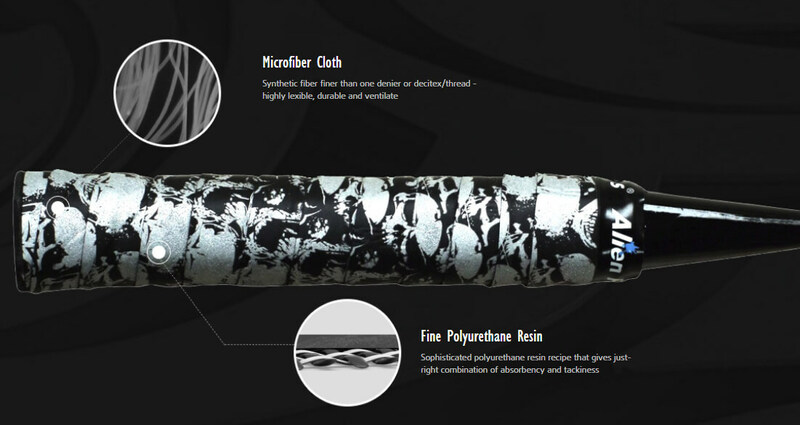 Featuring strong anti-slip function, the C-Tac overgrips is the among the most used grips in the market. The hydrophilic coating is what enables C-Tac to have intriguing designs without compromise on functionality. 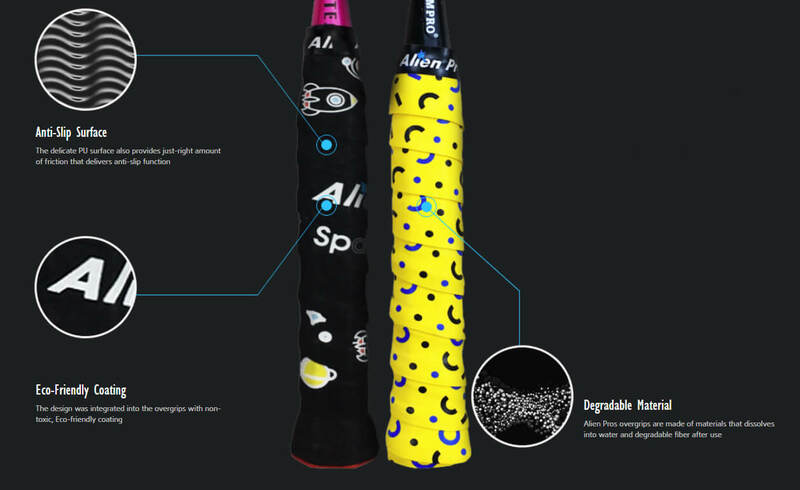 Alien Pros C-Tac overgrips are made of highly flexible, absorbent material that makes a tacky, comfortable grip. Featuring just-right combination of tackiness and absorbency, the C-Tac overgrips are among the most popular grips in the market. The hydrophilic coating is what enables C-Tac to have intriguing designs without compromise on functionality. Beyond XDRY - At Alien Pros, our mission is to not only to bring color and joy to the tennis and badminton world but also raise awareness if meaningful causes such as animal protection and space exploration, as these themes were reflected in our designs. It's also vitally important to us that our production is undertaken in a sustainable, environmental way. All of our products are made of non-toxic, Eco-friendly, recyclable material that is safe for your and our environment.